There were also unsafe levels at places including Kilkeedy in Clare which was 10 times over the limit and Rosses Point in Sligo which was found to contain 6 times the legal limit. 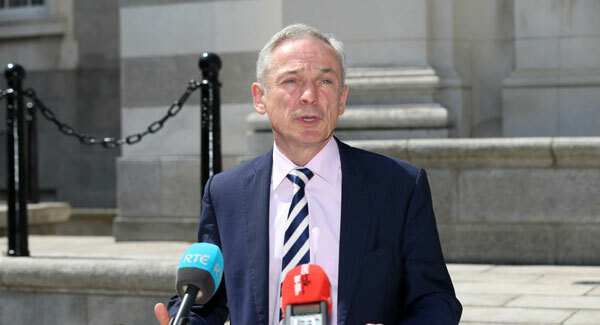 Minister for the environment Richard Bruton says there are no lead water mains in Ireland. “The vast majority of these lead pipes are in the connections between the mains and homeowners,” said Mr Bruton. Long-term exposure to lead can cause high blood pressure, and potential harm to kidneys. President of the National Association of GPs Dr Maitiu O’Toole says contaminated water is not safe to drink. “Boiling water or filtering water will not remove lead from water,” he said. In a statement, Irish Water says that it is removing all remaining lead pipes and replacing them with plastic ones. It is also piloting a programme where lining is applied to lead pipes to reduce the risk of lead eroding into the system. Irish Water figures obtained by the Irish Times show that a sample near Sutton Dart Station in Dublin was found to be the most contaminated by lead – 15 above the legal limit. Meanwhile, a test carried out in Sligo was found to contain six times the legal limit.